Buy The Queen City Jazz Fest tickets at the Charlotte Metro Credit Union Amphitheatre in Charlotte, NC for June 17, 2017 6:00PM at Ticketmaster. 2016 has been a great year for saxophonist Jessy J. She got married and on October 28th, released her debut holiday album, “California Christmas.” Jessy produced the project that she had been working on since 2014. She released it on her own label, Changi Records. The album was dedicated to her former manager, Stewart, who passed away last year. A few of Jessy’s friends including Jeff Lorber, Paul Brown, Steve Oliver, Michael Thompson, Maurice Smith, Jay Rowe, and more joined her on the album. Christmas is Jessy’s favorite time of year, and creating a holiday album that was a reflection of a “California Christmas” felt like a must to her. Covering holiday favorites with her own blues, tropical, jazzy sound makes this album a welcome addition to fans’ collections. Additionally, Jessy started a Pledge Music campaign–a great way for her to interact with fans. The super trifecta otherwise known as Jazz Funk Soul started 2016 off with their latest album “More Serious Business.” The group is comprised of guitarist Chuck Loeb, saxophonist Everett Harp, and pianist Jeff Lorber. Each member distinctly represents artistry that is well-respected, and combined, they have sold millions of albums. Amidst working on “More Serious Business,” Loeb, Harp, and Lorber individually enjoyed successful solo projects. Jeff describes the chemistry between them as fun and challenging. As a cohesive unit, they respect one another’s talents and have found a way to harmoniously blend them. “More Serious Business” has ten original songs that keenly represent the varying yet similar styles of the trio. The lead single “You’ll Know When You Know”–written by Harp–is soulful and funky. 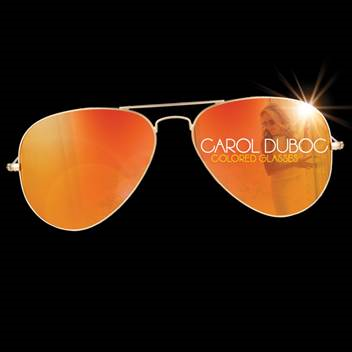 “Hypnotic,” the first single from Carol Duboc’s latest album, “Colored Glasses,” is the perfect description of the collection of original songs being released on September 18, 2015. Carol collaborated again with her friend and colleague, Jeff Lorber, to produce “Colored Glasses.” And what better way to complete a new album than to once again enlist the talented Jimmy Haslip, Michael Thompson, and Vinnie Colaiuta? Additionally, Eric Marienthal, Hubert Laws, and Paul Jackson, Jr. added their special touches to the long-time anticipated new album. Carol is lyrically gifted, and her uncanny ability to tell stories is a part of her charm. “Colored Glasses” tells the story of someone in love who sees and has seen love through “Colored Glasses”–a little something everyone can relate to. Writing this album has been therapeutic for Carol, empowering her to remove any “Colored Glasses” she has ever worn. Carol recorded a video for the song “Wavelength,” and she was joined by her band live on the sands of Venice Beach. Little did she know that a few onlookers would join them, giving it even more life. Admittedly, Carol had a fantastic time sharing that time with colleagues and strangers, all coming together for a common cause. The end result: perfectly befitting the song, a long line of people on the beach doing one long wave. Carol has an album release on September 18th at Hollywood’s Baked Potato and will be joined by Lorber, Haslip, and Thompson.